Those with a strong local knowledge say it has the potential to be the largest amount of land to be lost. 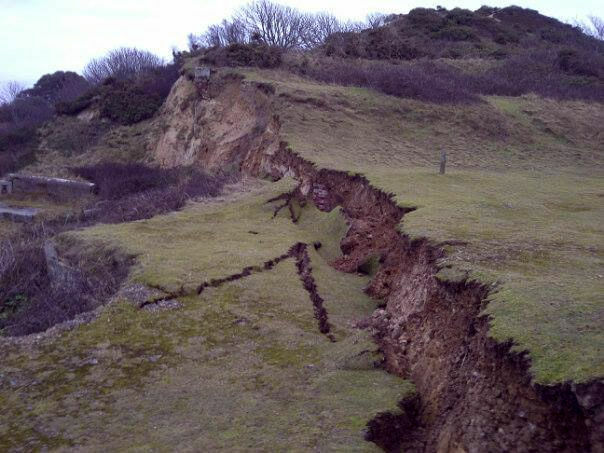 A massive crack has developed on Headon Warren, north east of the Needles. 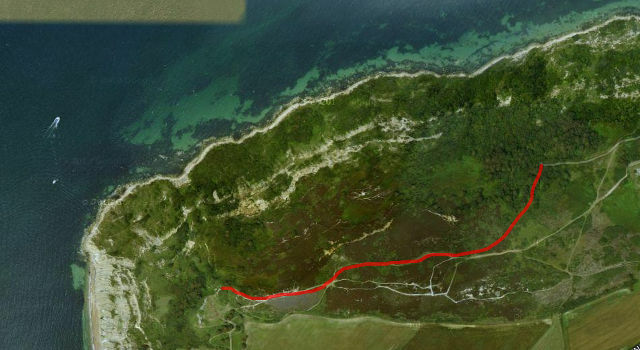 It was described to OnTheWight yesterday as a 6″ (15cm) wide crack running about half a kilometre (0.3 mile) long. The drop at the crack has been variously described as between 6ft and 30ft. Unsurprisingly people living in Freshwater and Totland are very concerned about the potential of it slipping further, with the total loss of the land being discussed. Those with a strong local knowledge described it as having the potential of becoming the largest amount of land to slip in recent times. For those not familiar with the area, that area may be hard to visualise, so based on Ashley’s description, we’ve created an approximation of where the crack runs. As you can see from the map below, it’s major. Update 11:20: Amended maps showing approximate line of crack, following Steve Blamire having re-visited the site this morning. 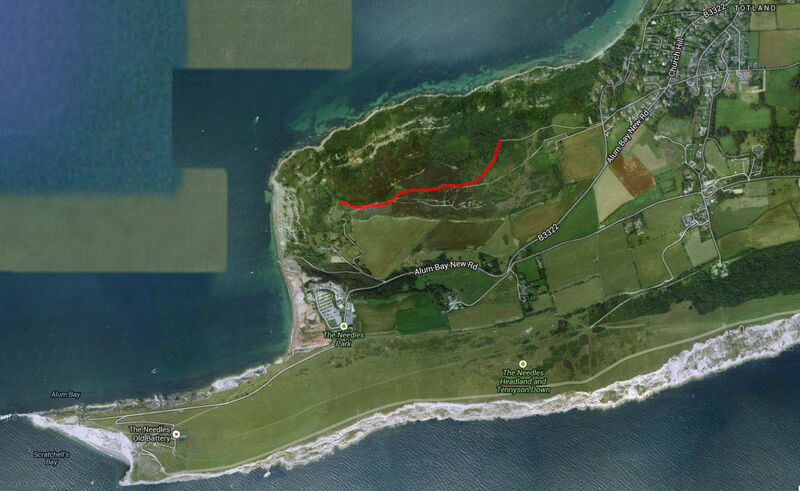 5 Comments on "Headon Warren: Fears after another major landslip on the Isle of Wight (Updated)"
If it did slip what effect would it have on Milford/Keyhaven? Would there be a “tsunami” effect? The answer is no…… The famous example of the Canary Islands relies on a substantial piece of land falling into deep water and displacing it to produce the waves. This slip would be more likely to ‘slump’ and at a much slower pace. The reality is that a cracking on the upper slopes doesn’t necessarily equate to the entire area moving. Let’s hope you’re right. Losing Headon Warren would be tragic. Of course one day it’ll go (and one day the whole Island will be gone) but the longer that’s delayed the better.